Wayanad is a lush hill town in the divinely blessed God’s Own Country. The beautiful town snuggled in the lap of Western Ghats is one of the best places to visit in Kerala. 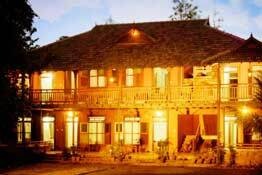 This page lists all the possible heritage hotels in Wayanad so that you don’t have to go elsewhere. These hotels let travelers relish the real bliss of luxury packed in a heritage environment. The perfect mix of royalty and comfort is what makes heritage hotels one of the favorites for luxury seekers. Favored by honeymoon couples, families and adventure lovers, Wayanad has a unique charm that lures visitors throughout the year. The place thrives with a number of eco-resorts inspired by tribals, treehouses, cottages, wildlife resorts and much more. All you have to do is choose from our extensive collection of Wayanad heritage hotels and leave the rest of the planning on us. We take care of all your needs and spoil you with the best of deals and facilities. Relax your soul amid the lush greenery of Wayanad and enjoy your vacation like never before.